World AIDS Day takes place on December 1st. It’s a day to highlight the continuing spread of HIV and the need to fight discrimination, social stigma and support sufferers of HIV. At the same time we must not forget to acknowledge the progress that has been made and how close the world is to seeing an end to this viral disease. On this day many events take place around the world and people are invited to wear a red ribbon in solidarity. When HIV first emerged into the public eye in the 1980s, there was very little information available about the disease, how it was contracted and methods of treatment. There was no clarification made between the difference of HIV and AIDS. Forty-five years on, we know much more. HIV remains one of the worst global epidemics the world has endured, but many improvements in treatment have been made, such as anti-retroviral treatment. Combating the disease was part of the Millennium Development Goals set up by the UN. It’s bulleted as Goal number six- ‘To combat HIV/AIDS, malaria, and other diseases’. According to the EFA Global Monitoring Reports, 83 countries have halted or reversed their epidemics, including countries with major epidemics such as India, Kenya, Mozambique, South Africa and Zimbabwe. So in many places, MDG6 was achieved many months ahead of schedule. We can celebrate this success today, but we can’t forget that the fight continues. “Fifteen years ago there was a conspiracy of silence. AIDS was a disease of the “others” and treatment was for the rich and not for the poor,” said Michel Sidibé, Executive Director of UNAIDS. Many more success stories can be told in the future. Prevention is key, and education is a powerful tool to be used for this. 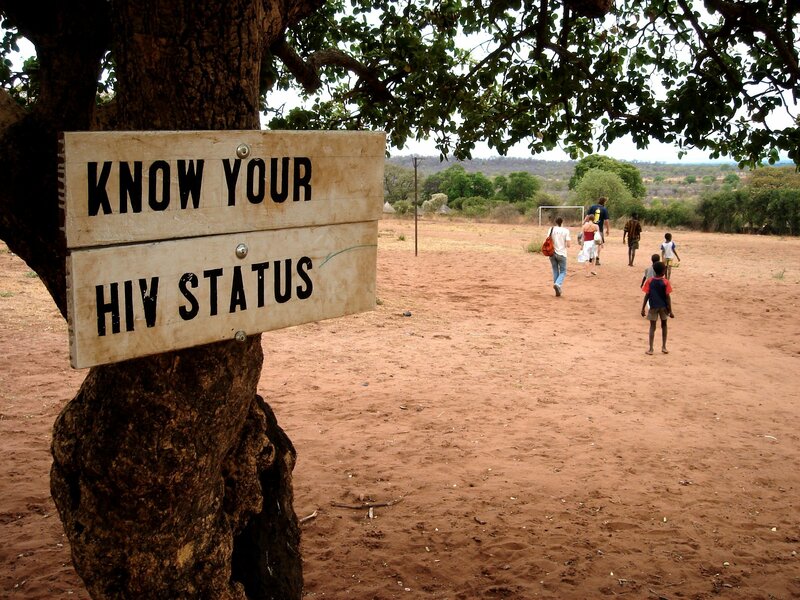 Raising awareness has prevented many people in contracting HIV. Not only educating adults and children about prevention and contraception, but also about recognizing symptoms and to get tested. Finally, education helps make us all more compassionate, sympathetic and understanding of our compatriots who have suffered through this disease. For example, educated mothers are more likely to seek testing during pregnancy and to know that HIV can be transmitted by breastfeeding. They are also more likely to know that the mother-to-child transmission can be reduced by taking anti-retroviral drugs during pregnancy; only 27% of women with no education in Malawi were aware of this, compared with 60% of women with secondary education or higher, according to EFAGMR. EFA Global Monitoring Reports has also stated that young people who have stayed in school longer are more aware of HIV and AIDS. Therefore ensuring all children have access to school is essential. They are more inclined to take protective measures such as using condoms, getting tested and discussing AIDS with their partners. 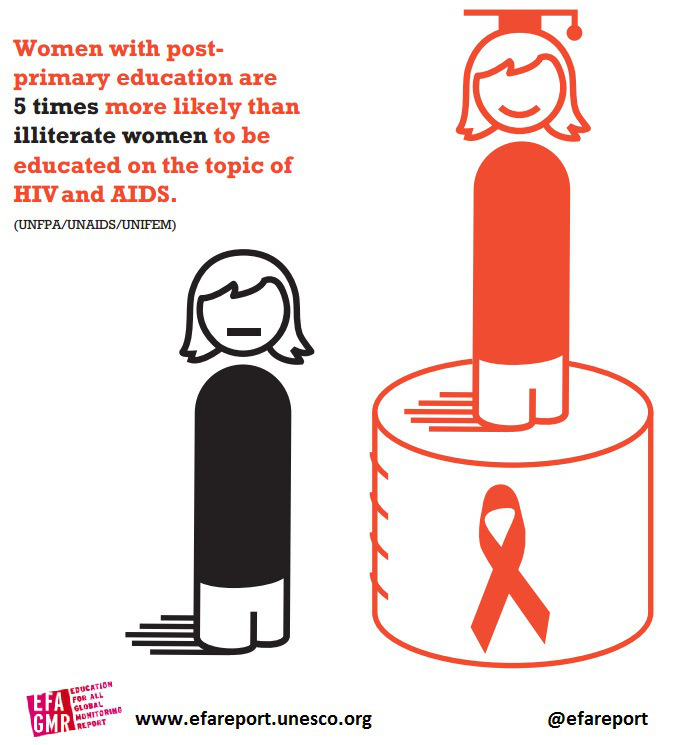 Schooling reduces the risk of HIV infection – but needs to play a bigger part in communicating knowledge about HIV and AIDS. Since 1996 Link Ethiopia has striven to provide children in Ethiopia with better school materials and improved the quality of education in many Ethiopian schools. We have gathered school resources about HIV/AIDS and encourage teachers and tutors to use these school resources on this special day to educate children about the viral disease. Click on the links below or visit www.linkethiopia.org/school-resources for more school resources. Next PostChihira Elementary School welcomes Link Ethiopia's youngest ever fundraiser!